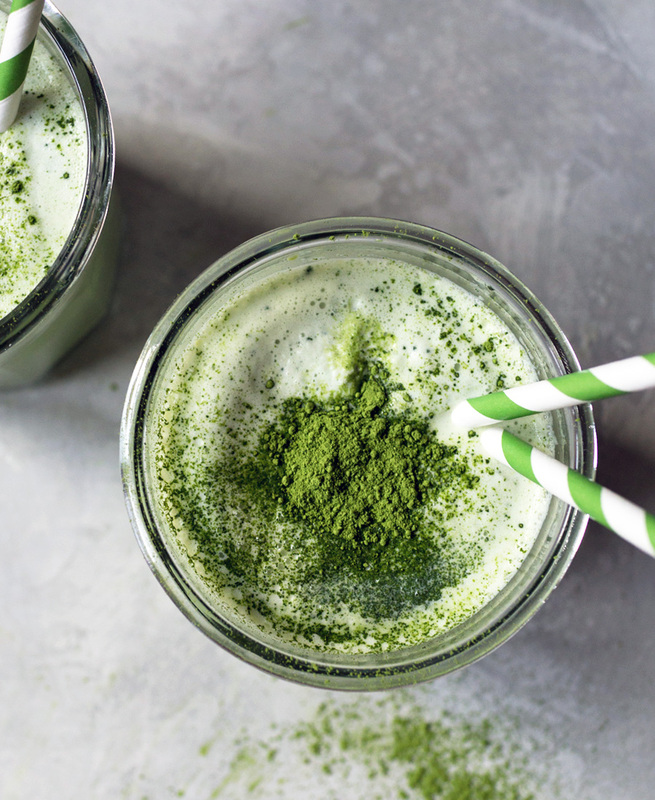 Is making this matcha milkshake as easy as combining all ingredients and blending it? YUP! The best milkshakes have the perfect ratio of ice cream to milk so that it’s not too hard to drink through a straw yet it’s not completely liquid. I go with three scoops of ice cream for every 1/4 cup of milk. 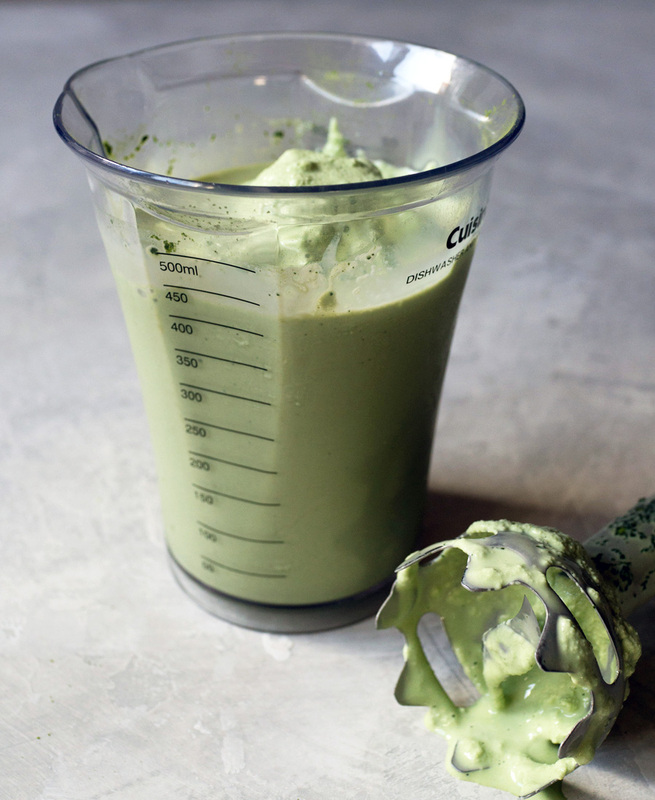 And yes, this matcha milkshake has three scoops of ice cream for one serving. Took me many, many trials but I got the ratio that I like the best. The sacrifices I make for this blog. Ha. 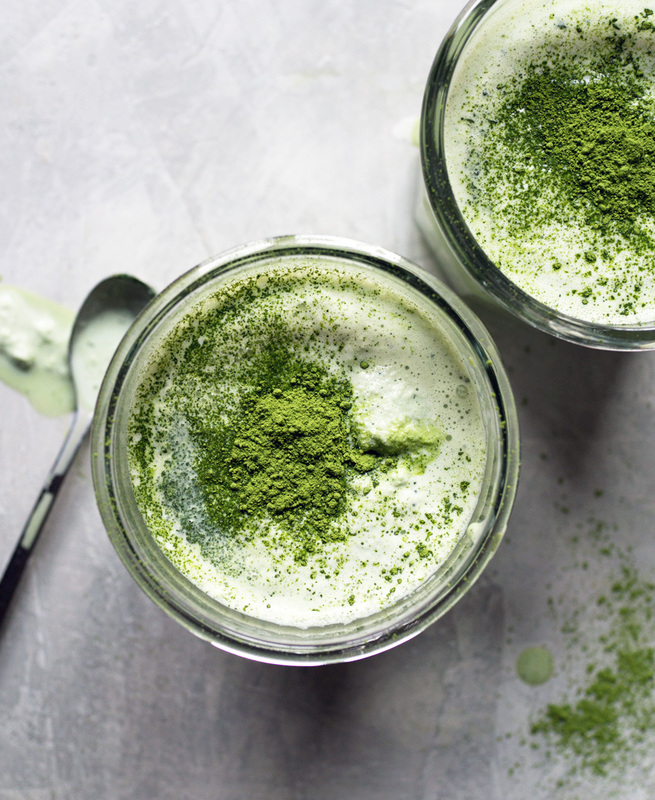 Matcha (green tea powder) may be labeled as ceremonial grade and cooking or culinary grade but really, that’s all marketing lingo. 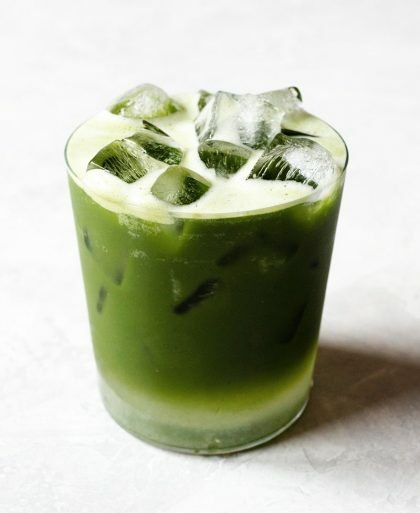 It really doesn’t mean too much since there’s no standard that matcha companies goes by. A matcha brand may say it’s ceremonial grade but it may be labeled as cooking grade by another company. 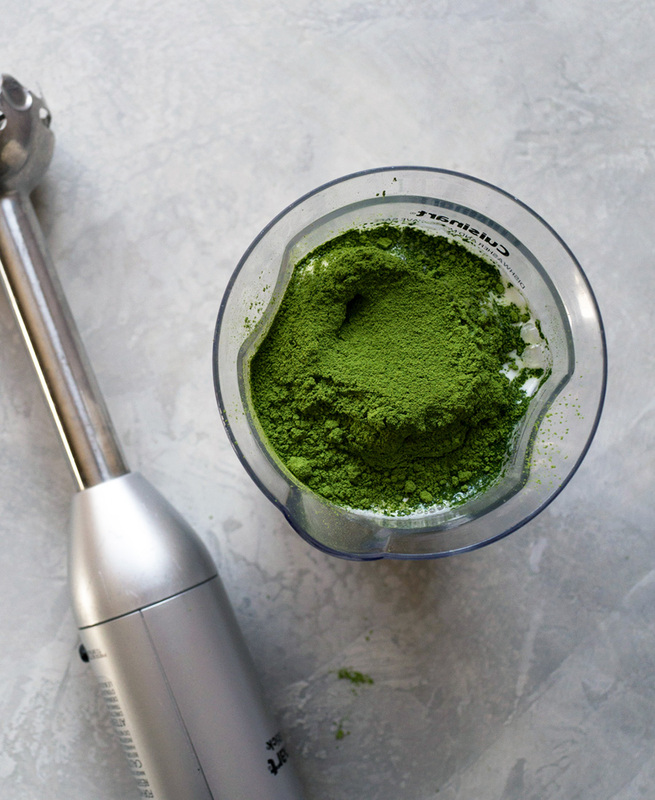 For recipes, don’t use the highest quality but instead find matcha that’s the brightest green in the $15 – $30 price range. Ones that are too cheap tend to be a dull green color and most likely is not real Japanese matcha, but instead a poor quality Chinese version. 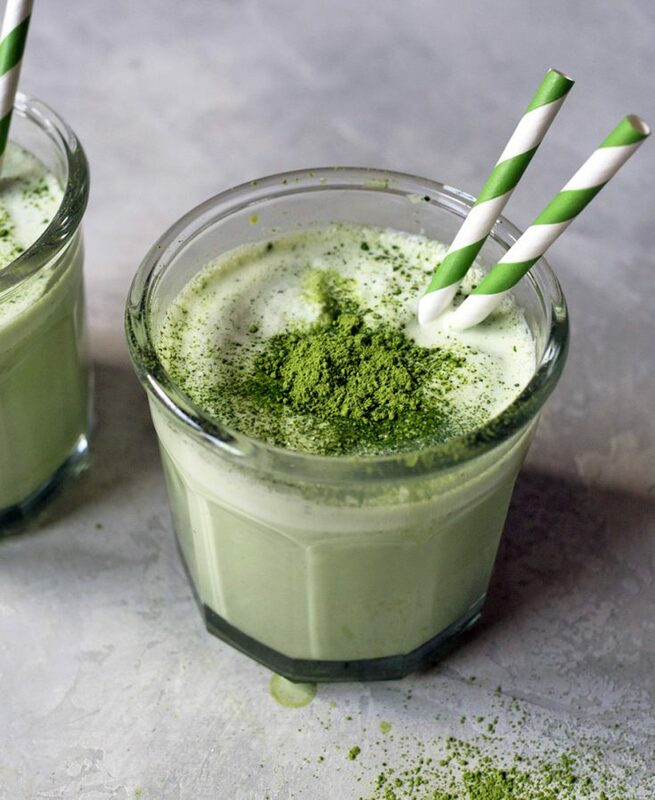 I love this matcha for lattes and recipes. If you’re not into spending $30 for a tin, try their slightly lower grade matcha at half the price. Bonus: free shipping! Handy tool to make milkshakes and whipped cream in seconds. I’m in love with this salt. It’s AMAZING. No joke. Because trying to drink a milkshake without one is just asking for a mess down your shirt. The 2-cup container that the Immersion blender came with was the right size to make one milkshake. 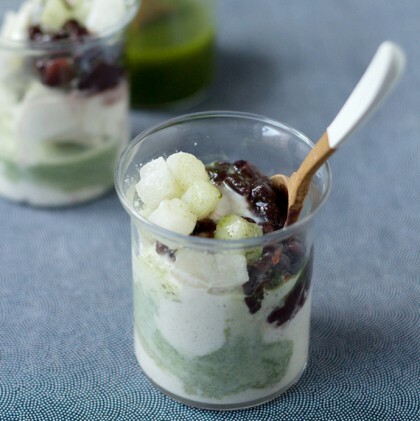 Combine ice cream, milk, salt, and matcha. 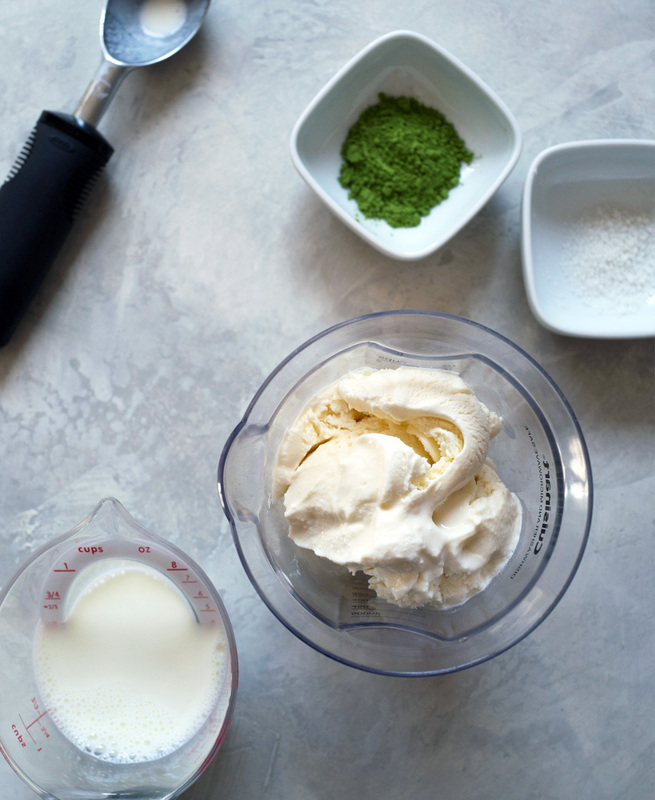 To make things easier, layer in the matcha between the scoops of ice cream so you don’t have any green tea powder flying around everywhere. Why the salt? I like to add a little bit in sweet recipes to enhance the flavor. Don’t use rock hard ice cream since it’ll be too much work for the blender. The ice cream is perfect to use when it’s somewhat soft and easy to scoop but not runny. Wait a few minutes after taking it out of the freezer and let the ice cream soften a bit before blending. I pulsed the entire thing on low for a few seconds until everything was blended together. See how easy it was to make a milkshake? 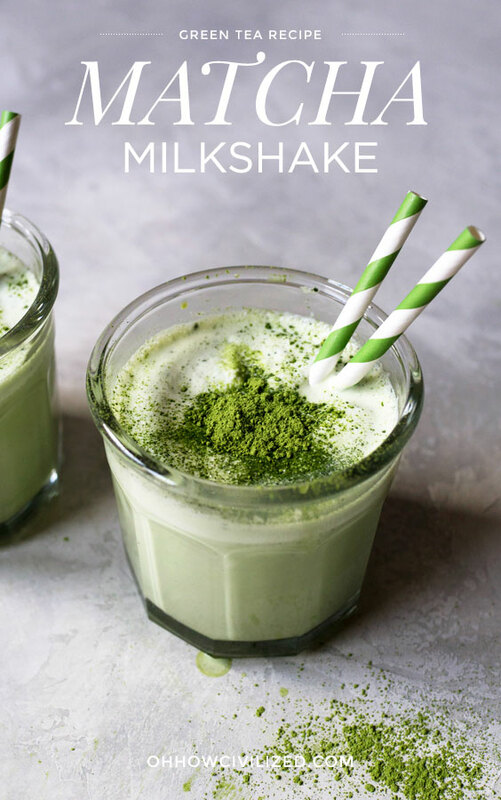 Thick, rich and easy matcha milkshake can be made in five minutes! 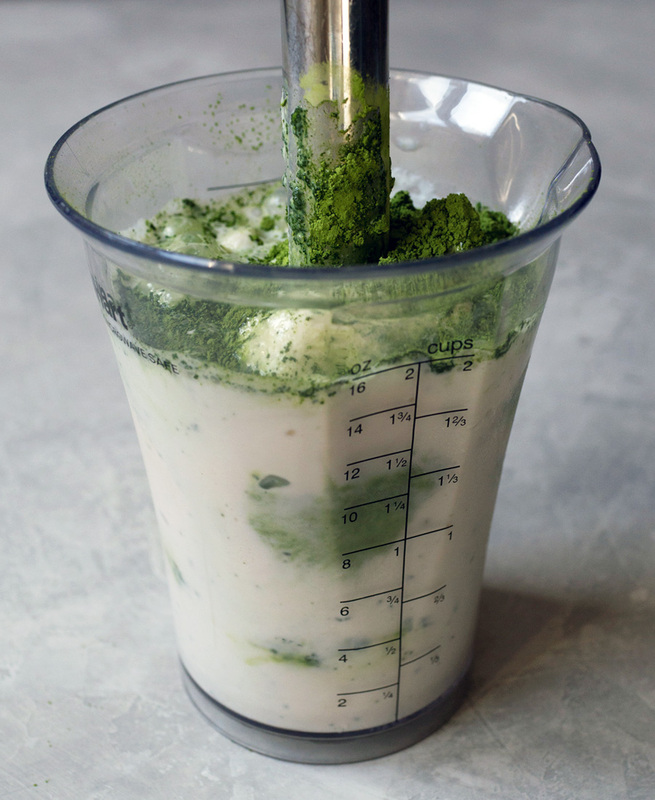 Combine all ingredients in a tall container and use an immersion blender, to mix all ingredients until smooth. 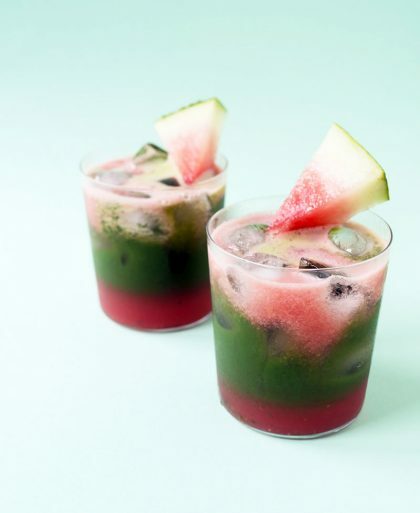 Pour into a cup and top with matcha. sorry but with this ingredient i can’t fill a glass 🙁 I added more milk and ice cream! Hi Emilia, I updated the recipe so that there’s more to fill a glass. Easy and yummy! Thank you.